Every solar job needs a construction contract. Solar contracts have to comply with state law. All states require specific contract disclosures. Heavy penalties apply if you ignore state law. If you're a solar contractor, you need good solar installation contracts. Include the notices and disclosures required by state and Federal law. Fit your jobs. Boilerplate contracts reflect a lack of professionalism. Avoid the penalties assessed for use of a defective contract. Anticipate the most likely disputes. Protect yourself. Resolve key issues in your favor by adjusting the contract bias. Demonstrates your competence as a construction "pro." Construction Contract Writer drafts thermal and PV installation contracts based on your responses to interview questions. 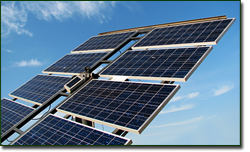 Click the buttons and boxes to draft a green power contract as detailed or as simple as the project requires � anything from a single home solar panel to a commercial solar array qualified for net metering. Download the program for $149.95. The trial version is free. Laws change. You�ll be notified when it�s time to update � no charge for the first three years, $25 a year thereafter (or $40 for two years).